Isaiah Stewart, dressed in a black suit and tie so as not to reveal a preference, held up three fingers to form a ‘W’ and announce his verbal commitment to the University of Washington. 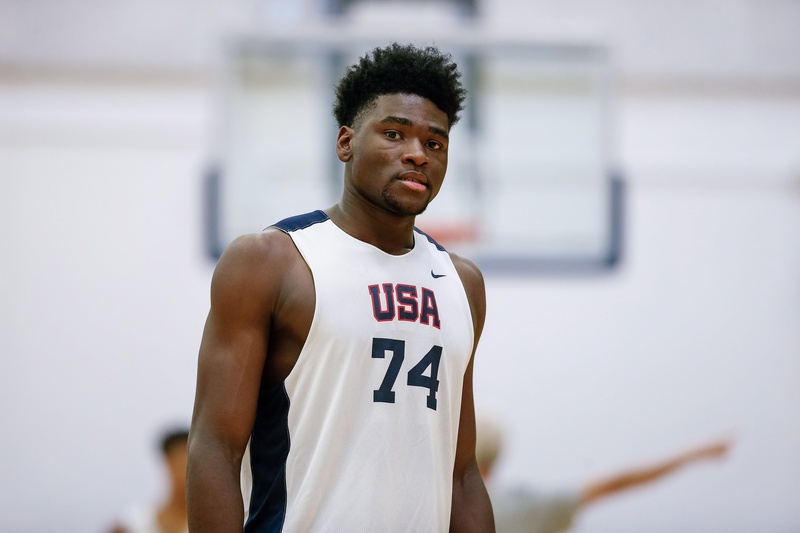 The 2019 five-star big man from Rochester and formerly McQuaid revealed his college decision on ESPN Sunday night. He chose the Huskies over Syracuse, Duke, Michigan State and Kentucky. Stewart had begun being recruited by UW head coach Mike Hopkins when he was a 14-year old at McQuaid. Hopkins was the associate head coach at SU then, and in a Democrat and Chronicle article, it was jokingly suggested that Hopkins was at McQuaid so much he had his own parking spot. 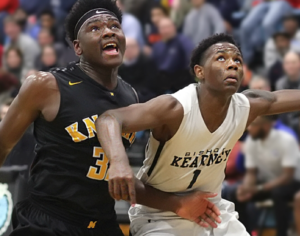 The last two seasons have seen Stewart and Hopkins both in different places: Hopkins as the head coach at Washington and Stewart for prep powerhouse La Lumiere, in Indiana. In the end, Stewart chose to stay with one of his earliest recruiters and follow him to the Pacific time zone. “Me and Coach Hopkins go way back since I was a freshman… I’m a big relationship guy,” Stewart said on the broadcast. Stewart becomes the third New Yorker on the Washington roster, along with former Bishop Kearney star Nahziah Carter and Albany’s Hameir Wright. All three spent time playing for Albany City Rocks AAU together. VIEW MORE RON KALASINKAS PHOTOS HERE. As part of his post-announcement banter, Stewart mentioned he’d be working to get five-star big man and Washington native Jaden McDaniels to join him with the Huskies.